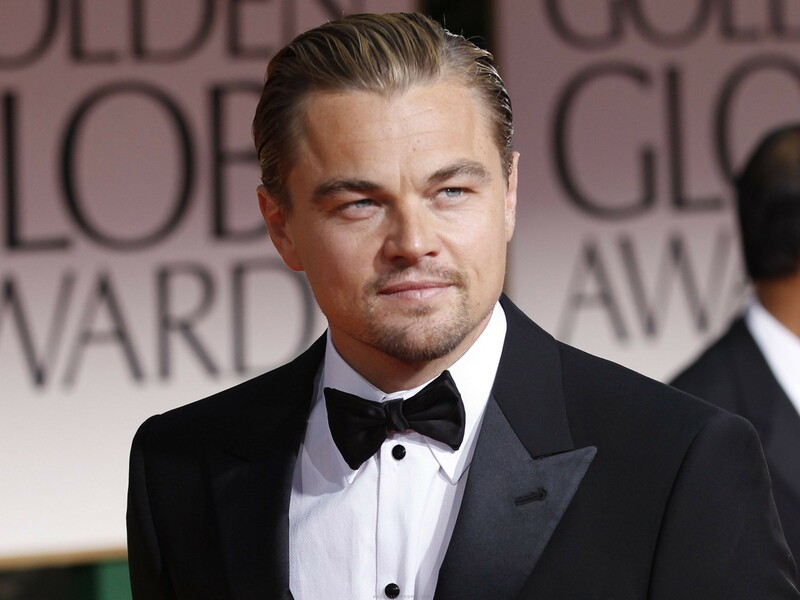 Idiot – The Biebs outbid Leo! Justin Bieber and Leonardo DiCaprio got in a bidding war over a Bulgari necklace at a live auction at Cannes Film Festival’s annual amFAR Cinema Against AIDS event, according to The Hollywood Reporter. The exquisite piece of jewelry was reportedly a13.05-carat aquamarine stone with 19.12-carats of pavé diamonds. DiCaprio, 39, and Bieber went back and forth for the Bulgari stunner, worth around $204, 000, during the exciting auction. “The Wolf of Wall Street” actor put in his final offer in at around $476,000. The 20-year-old pop star, who apparently wanted to purchase the gem for his mother, was clearly not intimidated by the high-profile movie star and came out the winner by offering $545,000. Despite DiCaprio’s loss to the “Baby” singer, a bidder at the same event did pay $1 million to accompany the suave star on the Virgin Galactic trip to space. Not a smart move by Bieber. Clearly DiCaprio let him have his fun and walk away with the fancy piece of jewelry. If you think Bieber got the best of him in this situation then you care clearly high. Leo could’ve dropped a couple million on that jewelry and ended it then and there, but sometimes it’s better to lose the battle and win the war. In this case the war being the luckiest guy in the world paying $1 million to go to space with Leo, which might be the bargain of the century. I’d sell all of my personal belongings and those of my friends and family to go to space with Leo. Just do horrible, horrible things for that opportunity. As far as Bieber is concerned, he just woke up the hornets nest. I doubt DiCaprio ever forgets this and will probably carry on a lifelong vendetta against Bieber until he’s a worthless pile of trash. There’s a storm coming Mr. Bieber. You and your stupid friends better batten down the hatches, because when it hits, you’re all gonna wonder how you ever thought you could live so large without King Leo coming for a slice of the pie. Best friends gotta hug! 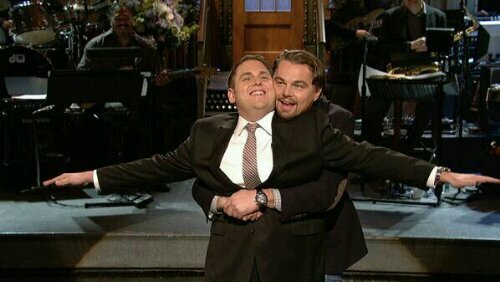 Surprising to see Leo show up on SNL because he basically hates all types of talk show appearances, but when your friend asks a favor you show up and reenact the Titanic with him. This proves two things: Leo is probably the coolest guy in the world and Jonah Hill has the greatest group of friends in history. Franco, Rogen, Pitt, DiCaprio. Save some for the rest of us man. P.S. I hope Clooney see’s this. You can only spurn my advances for so long before I move on. Nobody does an award show like Leo. First he takes his mother, so every woman within 100 mile radius is already swooning. Then he wins the best actor award (yawn). Just when you think his night is over, he goes to the after party and starts smooching with his 21 year old supermodel girlfriend. If I didn’t have such a weird obsession with George Clooney I’d say Leonardo DiCaprio is taking over the world. Actually, who am I kidding. Leo IS taking over the world. One award and beautiful supermodel at a time. Celebrities and Halloween: a match made in heaven. Thanks to the internet, we got to see hundreds of celebrities dressed up this year, but we narrowed it down to our favorite ones. This is when you know you have “it”. You dress as whatever the hell this is, and still come off as the coolest guy in the room. I don’t know what look Leo was going for, but I do know I’ll be wearing the exact same thing next year. The ultimate power couple is at it again! Being a die-hard Bucs fan has no advantages, but at least I get to see the home team, and more specifically Tommy here, strut his stuff with his smoking hot wife. They could have dressed as giant fleas and still would have gotten my vote.